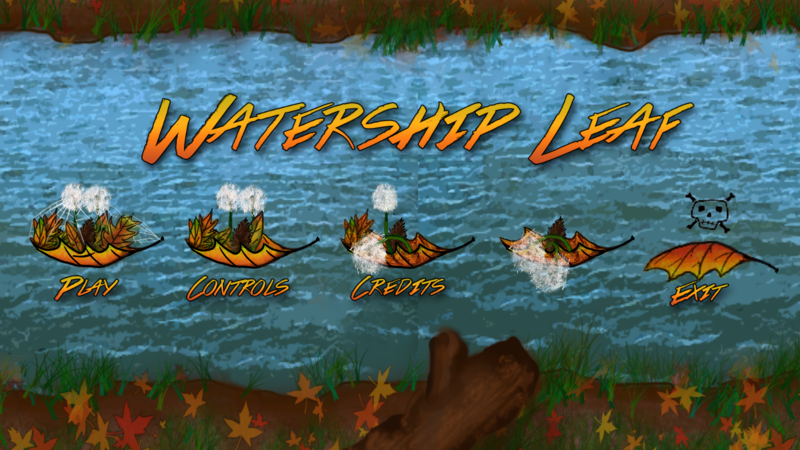 Watership Leaf was made in a 24-hour game jam. It is made to be played by two players, one using the mouse and one using the keyboard. 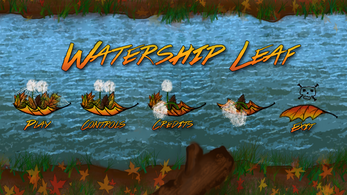 The keyboard controls a small, delicate boat constructed from leaves. You must steer it out of the way of rocks and other obstacles as you float down a river. 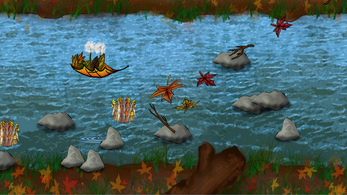 The mouse can be used to remove falling debris from the boat's path, or to drag falling leaves onto the ship to repair it.